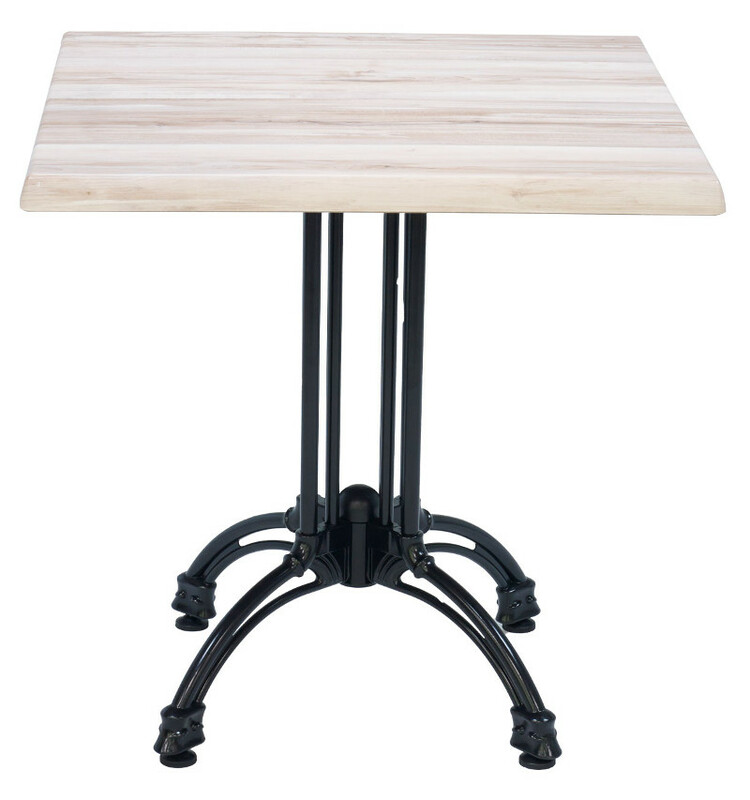 This commercial outdoor/indoor restaurant table features a molded melamine top & black 4 prong base. Available in 24 square, 32 square, 36x36. Also available in 32x48 rectangular(with a different base). 24,32, and 36 square sizes available.